When my grama found out we were traveling to Poland she called me up from Scotland to stress the importance of a visit to the Wieliczka Salt Mine. She said it’s one of the most amazing places she’s ever been, and she’s been everywhere. We don’t have a ton of time in Krakow, so we decided to do the Salt Mine first thing in the morning which would allow us to have the rest of the day for other activities. Wieliczka is 20 minutes away from Krakow. 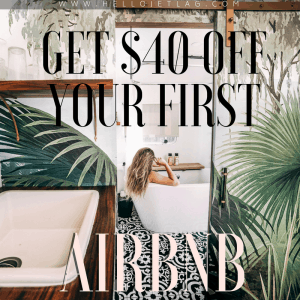 You can take the bus, minivan or the train. On the train you will travel from Krakow Glowny to Wieliczka Rynek-Kopalnia station. If I remember correctly the train costs around 6PLN ($1.50) each way. 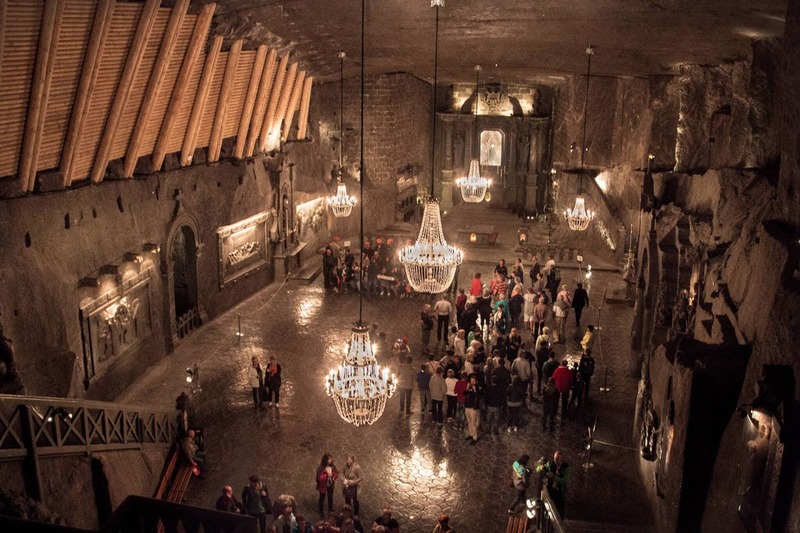 The 304 bus will drop you off at the gate of the salt mine, the stop is Wieliczka Kopalnia Soli. I believe the price is comparable. We opted for the train since we have been on a lot of buses during this trip. The train was fantastic; it was spotless, comfortable and there was strong wifi onboard. The train’s last stop is Wieliczka, so you can’t miss it. When you exit, you’ll continue straight for about 3 minutes until you see a big sign for the Salt Mine. This sends you slightly right, and up a small hill. The entire walk is 5-8 minutes and it’s extremely easy to find. We left Krakow at 7:07am and got to the mine at 7:45am. The mine is about 186 miles (300 km) of tunnels so you cannot enter without a guide. Tours are given in 6 different languages and each has it’s own set tour times throughout the day. It’s important to look at the times before you go in order to get there early enough to wait in line for your time. Tours are first come first serve and when they are full (about 30-35 people) you have to wait for the next one. When we got there we were among the first people in line. By 8:30am, the first English tour started and tons of people were vying for a spot. You begin your journey into the Wieliczka Salt Mine by descending down 380 steps, 209ft (64 meters) into the Earth. Everything is salt, from the walls to the floor. Your guide walks you through 20 chambers of the mine giving you info on its history, as well as the miners. If you want to take photos you have to pay 10PLN ($2.62) and they give you a sticker to wear. If you decide not to take photos but change your mind, you can pay while on the tour. The mine has been in operation since the 13th century and it was incredible to see what the miners have created down there. There were massive sculptures made of salt, multiple lakes and even a cathedral. Overall you will walk almost 2 miles (3 km), and after about 2 hours of winding your way through the tunnels of the mine, the tour is over. You’re left in a large chamber where there’s a gift shop, a fully operational restaurant, and play area for kids. In this area, there’s an elevator that takes you up to a viewing platform for 5czk. There are also signs advertising the “amazing glowing mineral exhibit” at the top. We decided to check it out but it definitely wasn’t as grand as they were making it out to seem. From the platform, we looked down onto the gift shop and other tourists. You can’t even take a picture if you wanted to because there’s a black net in the way to keep things from falling off on the people below. The incredible glowing minerals were in a small, glass case in the corner under a black light. They were beautiful but it was just not what I was expecting. Overall, it took us a minute and a half and we headed back down in the elevator. Don’t waste your money. When you comprehensively try and grasp how the miners have created such an incredible underground world, it’s truly mind-blowing. I appreciate the enormity of Wieliczka Salt Mine but to be completely honest, I didn’t love the visit as much as I thought I would. My less than incredible experience might have had something to do with our tour guide. If there was a contest for the most boring, monotone and unanimated person on Earth, she would win without a doubt. I had to take my headset off a few times because I couldn’t take it. While the mine itself is fascinating, many of the rooms are very similar. They break it up by including things like a fake salt mine explosion and a music show, but it came off a little cheesy. Like most, the cathedral was my favorite chamber in the mine. It was beautiful and grand, and even the chandeliers were made of salt rocks. Overall, it was an interesting visit and I would definitely suggest checking out the Wieliczka Salt Mine if you have enough days in Krakow. Everyone has different interests and many people love the mine. If you’re questioning whether or not to go and are stressed for time, personally, I would skip it. The mine costs 84PLN ($23) per person which I felt was a lot of money (for Poland). Our 6 hour tour of Auschwitz was around $10. There were very few people around when the mine first opened at 7:30am. By the time we were finished with our three hour tour, the lines looked to be about 150 people long. It could easily take 2 hours of waiting before you start a tour. If I had to wait hours for this experience, I’d be pretty annoyed. The Wieliczka Salt Mine is 64 meters below the surface so the lower you descend, the cooler it gets. Even on a hot day, bringing a light jacket or sweater is advisable. The temperature in the mine is always 52.2-60.8 degrees Fahrenheit (14-16 celsius). The tour starts out with you descending down 380 steps into the mine. During the tour you will walk around 3km, and there are more stairs to walk down (and up) during your tour, about 800 steps total. It’s a good way to get in your steps for the day! At the end of the tour, your guide leaves you to wander around in several areas of the mine. When you’re ready to head back to the surface, a guide must take you. You will stand in line for an available tour guide and depending on how many people are waiting, this could take time. Then it’s a 15-20 minute walk to the elevator. When you exit the elevator on the surface, you’re on a completely different side of town. From here, it’s another 10 minute walk back to the entrance. If you have to catch a bus or train at a specific time, plan to give yourself enough time to exit. We were surprised at how long it took. According to their website, The Wieliczka Salt Mine has a unique micro-climate. The air is free of pollution and allergens, rich in micronutrients, with constant temperature, high humidity, and free from harmful radiation. In short, the air quality in the mine is fantastic. They even have an underground health resort which I wish I would have known about prior to visiting. They utilize subterrano therapy which is good for rehabilitation of the respiratory system. Spending time in the spa is said to greatly improve asthma, respiratory infections and allergies. Even if you don’t check out the spa, make the most of your time in the mine by taking deep breaths while you’re down there. The first stairwell that you take to head into the mine is pretty narrow, and you will descend down over 200ft. The mine itself is large and there are huge caverns with lots of space. However, it feels a little strange to be that far beneath the Earth. I never get claustrophobic and I felt a little bit coming on while I was in the mine. There is a 10PLN fee if you wish to take pictures or video. There are no set times for Polish speakers. They can be taken at any time during the day. Auschwitz and Wieliczka Salt Mine in One Day? A lot of people are curious as to whether or not they can fit in Auschwitz and the Wieliczka Salt Mine into a single day. I’ve been to both and would highly recommend not doing this. 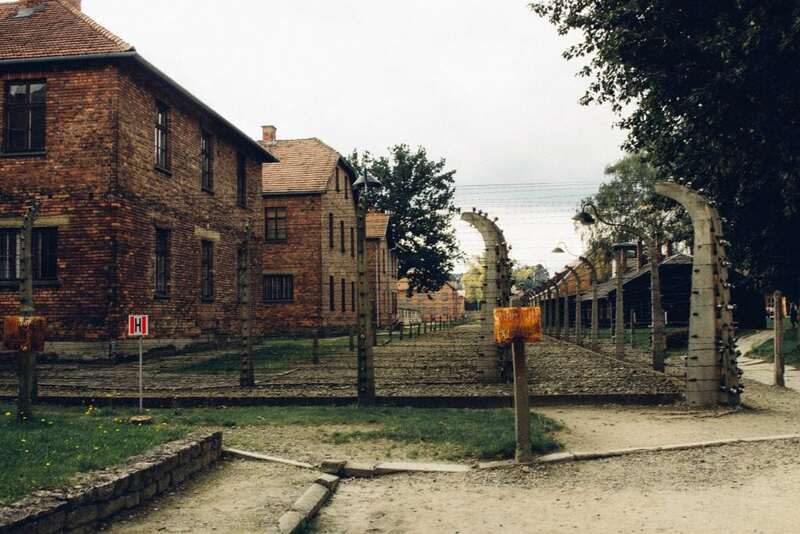 We did the 6 Hour Study Tour of Auschwitz and even then, I felt rushed. I imagine it could be possible to do both sites in one day if you spent 3 hours in each place. It takes an hour to drive between the two destinations. It would be a long day and you would be spreading yourself very thin. If you are pressed for time and must see both sites, I would recommend joining a tour to take the guesswork out it it. If you are deciding on one or the other, I would without a doubt choose Auschwitz.